The formal use of water resources by the mining, industrial, agricultural, municipal and other sectors affects the quality and quantity of our aquatic resources. Regulators, scientists and conservationists all work together to monitor water quality and quantity changes, and the effect of these changes on the well-being of our important resources. 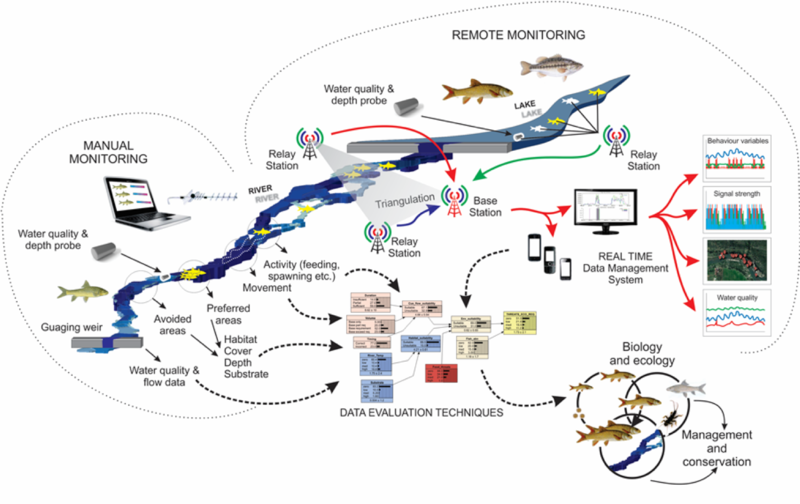 The FISHTRAC programme has been developed by scientists to monitor flows and water quality changes and the response of ecosystem components (ecological indicators) to these changes, using radio telemetry systems. These monitoring systems can operate in real time remotely and provide users with alerts to allow fast responses to adverse ecosystem conditions and impacts. 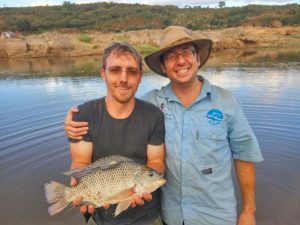 The FISHTRAC programme makes use of smart radio telemetry tags that send and receive information (transceivers) from rivers and dams in real time. The information these tags transmit can be received using base and relay receiver stations set up in the field, or portable receivers. Once received the data is automatically uploaded to a data management system (DMS) which can be accessed in real time via the internet. the response of ecosystems to changes in ecosystem conditions. 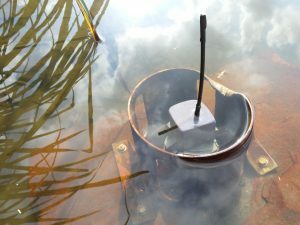 Water quality variables (conductivity, temperatures, pH etc.) and depth (for flow determination) is monitored from fixed probes fixed in rivers/dams up to 3m deep (when depth >3m the tags store data). Fish and other aquatic indicator animals are tracked to evaluate/monitor ecosystem responses to changes in water quality and flows. This approach is used to monitor the effect of water resource use on ecosystems, and the response of ecosystems to changes in ecosystem conditions. FISHTRAC is currently applied in the Umgeni catchment in KwaZulu-Natal and in the Kruger National Park.